Just six days ago the NZ High Court released its judgement on the attempt by local climate change deniers/contrarians/sceptics/crackpots to get a judicial overthrow of the NZ temperature record managed by NIWA scientists (see New Zealand climate change denial defeated). This seemed to precipitate a frenzy of internet activity by these deniers/contrarians/sceptics/crackpots to discredit the judgement, smear Justice Venning, and repeat to themselves their comfort mantras like “global warming has stopped,” “there has been no temperature increase in 10, or 15, years,” etc., etc. Perhaps these people are just attempting to divert their own attention away from the fact that they must now find the money to pay for the costs of this little episode. But I have found the exercise quite fascinating from a psychological viewpoint. 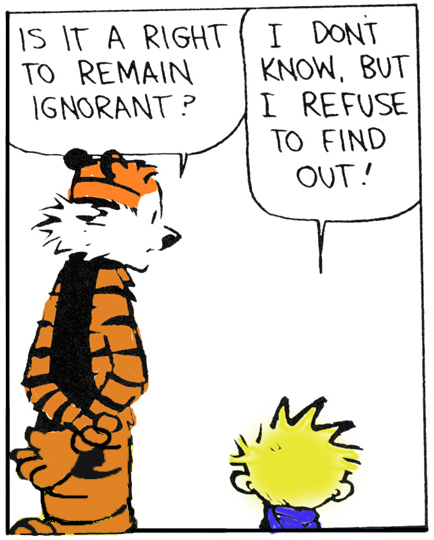 It seems to me to brilliantly illustrate one of the main problems with internet discussion and information. That while the internet provides the technology for increased communication of ideas and opening of minds, in many areas it seems to work in the opposite direction. Peter Jackson commented on this problem in his The Telegram article, Global warming real: attack on scientists, surreal – Columns – The Telegram. In this he mentioned a talk given by Harris/Decima pollster Allan Gregg at Carleton University in Ottawa last week. “If I believe the Earth is flat, (the Internet) puts me in touch with legions of fellow flat-Earthers and reams of pseudo-science to support that belief. As importantly, I never have to be exposed to any contrary views and can find total refuge in my community of flat-Earthers. This seem to be happening in a number of important areas related to science and its relevance to education or public policy. Avenues of communication are being cut. The walls are being erected. The internet silos are becoming ideological ghettos! This entry was posted in politics, religion, SciBlogs, science, Science and Society and tagged Allan Gregg, climate change, global warming, ideological ghettos, internet silos, New Zealand, SciBlogs, Treadgold. Bookmark the permalink. This makes a lot of sense to me. I’ve been starting to think along the same lines myself. In the field of climate change, I see it happening on both sides. The deniers talk among themselves, reinforcing their collective bias. Meanwhile, the political left reinforce ideas based on short-term thinking. Result: A debate in which both of the major political positions are inconsistent with the science. Gregg’s ideas are absolutely spot on. Both sides operate in silos, rejecting anything that doesn’t fit their pre-conceived positions. Meanwhile, the political left reinforce ideas based on short-term thinking. Short term thinking is most certainly not confined to the political left. In fact I believe short term thinking is characteristic of bowing to immediate Market Forces and abdicating responsibility for long term planning – as the Market will ultimately *fix* everything. I think your comment displays a little dyslexia in this regard. Kevin, I know I am politically cynical and terms like “left” and “right” have lost meaning for me but I can’t see your logic in comparing the deniers with the “political left”. In NZ the conflict of the deniers (eg High Court)” has not been with the “political left” but with the climate scientists in NIWA. The recent court action in the US against Mann and his old university involved deniers opposing scientists and their institutions, not the political left. Having said this I think it is common amongst deneirs to adhere to an extreme “right wing” conspiracy which paints scientists as part of a communist, Greenies, imperialist, capitalist, etc attempt to impose world government. I agree it is human nature to seek one’s own community and to cherry pick information to fit ones preconceived model. But there is a ethos in science which works against that. Scientists are human and just as prone to suffer biases but the social process of science, and the fact they interrogate reality, tends to help keep them honest. So in the situation science vs the deniers of science I think science has a tremendous advantage on its side. At the political level supporters of the science may automatically suffer from their own silo effect but science itself doesn’t – at least in that way. and continue to walk through it.” Carbon dioxide affects the climate for tens to hundreds of thousands of years. This means that reducing fossil carbon emissions makes no difference. If humanity wants to make a difference, it must either eliminate fossil fuels sooner rather than later, or it must engineer the climate. The left continue to promote policies designed to reduce fossil carbon emissions, even though this won’t change the prognosis. I don’t think I am being dyslexic when I say we have a debate between two scientifically unsupportable political positions. And could you clarify your comment about a debate between “two scientifically unsupportable political positions?” What are they? I take it you don’t mean the debate is between different scientific positions? If you can identify a left wing response on this issue, please illuminate what is the right wing doing in contrast. If you can identify a left wing response on this issue, please illuminate what the right wing is doing in contrast. Most government seem to be taking that approach – for example I would not have interpreted our current government as “left-wing.” Still, those are economic issues and I guess one has to use economic levers, unless we had access to central planned and rigidly controlled methods. Governments though develop their policies under advice from the IPCC about the science. And that science does show that burning fossil fuels will have a long term effect. I don’t think there is any scientific dispute about that. Naturally plenty of dispute about economic measures and political policies. That’s understandable if unfortunate. All of which are based on short-term thinking, specifically, the idea that reducing fossil fuel emissions will somehow “stablise” the climate. Well, the less emmisions, the less damage. Carbon dioxide affects the climate for tens to hundreds of thousands of years. This means that reducing fossil carbon emissions makes no difference. Well, sure. There’s no automatic “off switch” but weening society of fossil fuels is a good thing. I still can’t see where the left wing part comes into it, for example, the Kyoto solution is born of the right wing ideology, so Kevin, for the 3rd time, perhaps if you illustrate what you regard as the right wing response I’ll get a clearer picture of how you view any alleged dichotomy. “The less emissions the less damage” – this works with short-lived climate forcing agents but not with carbon dioxide. That is the point made by recently by Archer et al, and the other papers I cited on my blog post. Archer and his co-authors point out that the IPCC reports have given the wrong impression on the atmospheric lifetime of carbon dioxide. In fact the peak temperature is a function of cumulative emissions since the beginning of the industrial age. It makes no difference if we slow the rate of emissions. What matters is the cumulative total. That’s one of several fatal defects of all carbon pricing schemes. Getting back to where this started. There are two silos: “Human activity is not warming the planet”…. and …. “We simply must put a price on carbon.” Neither is consistent with the science. OK you see the silos as a rejection of the science – denial – on the one hand, and a political/economic policy – pricing carbon – on the other. But they are quite separate issues . Governments are advancing several economic approaches but they do so because of the science. That science is in direct contrast to the denier silo because it is based on reality and scientific investigation of reality. This, plus the social approach of science makes it far more transparent and objective – wrong to call it a silo. I really don’t understand your logic. Eventual temperature may well depend on cumulative emmissions (but surely is also influenced by the rates of addition and removal from the atmosphere). If the carbon pricing scheme , or whatever other economic scheme is used, works it will reduce the input of emissions to the atmosphere – hopefully even make possible the cessation of fossil fuel use by encouraging research and use of alternative technologies. Surely that is going to make the eventual climate change less than a business as usual scenario because the cumulative missions will be smaller. You don’t say it but seem to be suggesting an alternative scenario where utilization of fossil fuel stops now – cold turkey. Nice if you could get it – but how do you do that in the real world? Unless you can produce policies to achieve that you are stuck with policies which also have that aim but achieve it over a time by accumulated reduction of fossil fuel use. Perhaps you should give a clear description if your alternative. It makes no difference if we slow the rate of emissions. What matters is the cumulative total. But…if you keep slowing the rate of emissons then you eventually reach zero. Reach zero and that matters to the cumulative total. Nor can I can’t see why all political efforts so far to curb carbon use have been labeled by Kevin as left wing, whether they’re short sighted or not. It doesn’t look as if I’ll get an answer either. Cedric: There are intractable requirements for hydrocarbon fuels, in which alternatives are rubbish. So, even if carbon pricing could reduce fossil fuel emissions (The available evidence says it will not), there are hard limits to what can be achieved. Plus, of course, population growth wipes out any gains, and that’s not likely to change before the horse has well and truly bolted. My book explores the issues around liquid fuels in the NZ economy. My blog has touched on the global situation. I’m very positive about Professor Myles Allen’s “SAFE Carbon” proposal for the global economy. I’m surprised no-one else has answered Richard’s question. Perhaps that’s because it keeps changing. First it was about whether carbon pricing is left-wing, then it was about Kyoto, which is a specific form of carbon pricing, now it is about “efforts to curb carbon use.” That makes the question impossible to answer. Instead, I’ll go back to my original statement. Carbon pricing asks businesses and “rich” countries to pay money to other people. It’s widely promoted by left-wing groups such as the Green Party, often justified by saying that rich countries caused the problem and poor countries will suffer, therefore rich countries should give money to poor countries. If that fits your definition of right-wing thinking, fair enough. I’m surprised no-one else has answered Richard’s question. why? the question was asked of you, not them. Perhaps that’s because it keeps changing. Umm, you ought to read them again. Count how many times it was a ‘cut and paste’. No, it wasn’t, scroll up and read it. No it wasn’t, Kyoto was given as an example of a mechanism and a following question was paraphrasing earlier two, scroll up and read the question. Yes, and it always was, my slow one. You wrote The left are promoting solutions based on short-term thinking, and ignoring the long-term effects of carbon dioxide. So you dug your own hole, it’s not a good idea to try to distract by pretending that my question (singular), put three times, is too difficult, or kept changing. How about simply justifying what you wrote. Or, retract, modify and move on. That makes the question impossible to answer. Instead, I’ll go back to my original statement. Carbon pricing asks businesses and “rich” countries to pay money to other people. Any others? Do you know? How does that make the mechanism left wing? Where did the “left wing” mechanisms originate and what were the alternatives to them and what political persuasion put them? No, all countries will suffer, not just the rich ones, that’s why it’s called global climate change. … therefore rich countries should give money to poor countries. If that fits your definition of right-wing thinking, fair enough. Kevin, I don’t understand why you are being so evasive. You made specific statements and nobody held a gun to your head when you made them. Richard is doing the right thing in holding your feet to the fire. Justify what you wrote…or, retract, modify and move on. I don’t think I am being evasive. I have cited the relevant literature in regard to carbon pricing. I’ve reported what I have seen and heard in regard to the left wing position. Kevin, I think you should avoid the term “left wing position” – it’s vague and confusing. More to the point no sensible analyst would describe most of the world’s governments as “left wing” yet they generally support the economic levers you mention as well as recognise a special responsibility for developed countries. It’s also distracting from your argument which I wish you would express clearly. You seem to be saying we should not use economic levers but simply use biologically produced hydrocarbons and similar fuels. Is that right! If so – how do we get to that situation realistically and what about non liquid fuel energy sources? Should we not continue our research and application of solar, wind, nuclear, etc. Just trying to clarify your argument and the practical stops it requires. As I said early in this discussion, I am very positive about Prof Myles Allen’s SAFE carbon proposal. His idea is that energy companies, manufacturers, etc, would only be able to emit fossil carbon if they sequester an adequate fraction of the emissions. So, for example, an oil company could sell fossil petrol if it extracted some of the carbon from the atmosphere and permanently sequestered that carbon. The adequate fraction gradually increases as the cumulative emissions limit gets closer. Once cumulative emissions reach one trillion tonnes, energy companies would need to sequester all carbon. This encourages all technologies, respects the need for a cumulative limit, requires no behaviour change on the part of consumers, and creates no new revenue stream for governments. I heard about Myles Allen’s proposal earlier this year, and I think it’s great for the global economy. If someone has a better idea, I’d like to hear about it. As for non-liquid fuel resources: Climate-neutral hydrocarbons will be more expensive than fossil fuels. That should boost other technologies, without requiring subsidies etc. OK you seem to suggest that a government unilaterally impose a ban or sinking lid on fossil fuel imports? Nice if you get it – have you looked at the political support for this or the political repercussions unilateral action might produce? You acknowledge that carbon neural liquid fuels are more expensive than fossil fuel – do you see a political problem there? Overnight increase in costs with no compensation. How should it be overcome? You then see a free market adjustment encouraging research into and application of other technologies. In results I think this is similar to the usual economic approaches using an economic lever such as a tax or levy which drives down the use of fossil fuels and encourages other fuel use including, but not restricted to climate neutral hydrocarbons. Politically this can be softened with compensation from increased revenue. As I see it at the moment there is already a large amount of political opposition to economic levers – wouldn’t that be many times worse with unilateral government diktat even though the end result in terms of effect on climate would be the same? Myles Allen’s proposal sounds very left wing. Ken – Prof Allen’s been promoting his proposal around the world as a global solution. It would drive a very gradual transition over many decades. My proposed sinking lid (Based on a proposal by Susan Krumdieck) posits a 25 year transition. I’ve found more than enough evidence that on these timescales vehicle efficiency will improve fast enough to more than cancel out increased fuel costs. I’m not going to post my entire book here. I hope it will suffice it to say that I have concluded that the world can climate-neutralise its fuel supply without making the family car or road transport unaffordable. The difference between these proposals, and the various carbon pricing proposals, is that carbon pricing can’t work. I presented my case in my book, which is readily available. Myles Allen, David Frame, and others, have presented other criticisms of carbon pricing. I’m not going to post my entire book here, I’m too busy. I suggest you look at the evidence. I’ve provided links. Well, Kevin, I’m a scientist not an economist. In fact I tend to be politically and economically cynical. But nothing you have said convinces me of your assertion that “carbon pricing won’t work.” You haven’t justified that claim here – or even attempted to. And you have not answered my questions about just how your own economic scheme could be introduced. Anyway, good luck with it. You don’t need to convince me – this is a political/economic not scientific question. My concerns are about the science and we have enough troublemakers in that area. My concerns are about the science and we have enough troublemakers in that area. Typical left wing attitude, Ken.